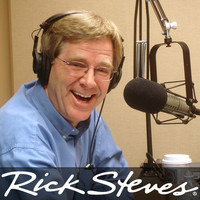 Get into the holiday spirit by hearing about Germany's many outdoor Christmas markets, then listen in as Rick's son Andy Steves describes what kind of low-cost weekend adventures young travelers are looking for in Europe. Plus, find out why Seoul's nightlife and pop culture are attracting a worldwide crowd to South Korea, and experience the "hard sell" at a street market in Cairo. The English-language web pages for the Nuremburg Christmas Market. Enjoy Berlin list five of its favorite Christmas markets in Berlin, starting with the Gendarmenmarkt, which Fabian also likes best. Rick spoke with a Christkind at a Christmas market in Bavaria in his Rick Steves' European Christmas special. Rick's European Christmas special is also available in a gift pack, with an accompanying book and CD of Christmas music from the show. The tour company Andy Steves operates is called WSA Europe. Trip Advisor lists the most popular "escape games" in Budapest. Sandy Bell's is a popular pub for Celtic folk music in Edinburgh. Andy recommends hostelworld.com to review choices for different types of hostel accommodations. Among those Andy likes are St. Christopher's Inn in Paris and the Flying Pig in Amsterdam. Information on the Bundestag cultural exchange between young professionals and students in Germany and the U.S., in which caller Allison participated in, in Leipzig. A student writing in the British newspaper The Telegraph applauds Malia Obama for taking a gap year before starting university. Euny Hong's "official bloody website" includes links to her recent magazine articles and Wall Street Journal editorials. Wikipedia describes the importance of the city of Seoul, South Korea, the influence of Korean TV dramas, and Korea's most popular drink, Soju.